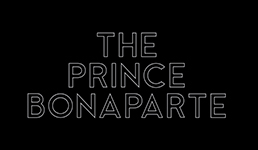 Nestled in the heart of Notting Hill, with our open fireplace, cosy booths, and an open kitchen dining room, the Prince Bonaparte is suited for any occasion. We cater for groups of all sizes up to 60 people, whether it is after-work drinks with colleagues or a small family meal. We offer full a la carte, set menus and canapés. For more information, just pop in or call and we’ll be sure to cater to your requests.